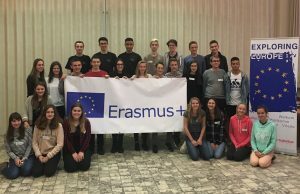 Depuis l’année scolaire 2017/2018, le Lycée Classique de Diekirch participe au projet Erasmus+ “The environment is our future, the environment is Europe’s future”, qui vise à sensibiliser les élèves aux sujets du développement durable. Lors de six rencontres internationales, qui auront lieu au LCD et dans les lycées partenaires à Saint-Amand-les-Eaux (F), à Šternberk (CZ), à Neerpelt (B), à Mönchengladbach (D) et à Valkenswaard (NL), les élèves découvriront différentes méthodes permettant de préserver l’environnement, comme par exemple les énergies renouvelables, l’économie circulaire, etc. Human activity has a negative impact on our natural environment. The ecological crisis is a consequence of the past (mis)behavior of the human race and we feel it is important to raise pupil’s awareness of the ecological issues we are currently faced with, especially since the younger people will have to live with the negative consequences which become obvious and visible. Environmental issues are transnational by their very nature, which calls for cross-border projects. It is important that youngsters become aware of the problems of other countries and of the actions (to be) taken. The project participants should be encouraged to reflect on the consequences of their own behavior and their approach towards the environment. They will be motivated to look for possible solutions. Participants will also consider the role of politics in the environment issues. The project should motivate pupils and hence reduce school dropout and attract pupils to the schools involved in the project. Moreover, the participants will get an insight into further new job possibilities in the field of the environment which could spur economic growth in Europe. The aim of the project is to promote the acquisition of skills and competences through teaching science and economics in an environmental and durable context. We want to adopt a holistic approach to language teaching and learning and to elaborate on the extreme diversity found nowadays in our multilingual classrooms and society. The project will also foster critical thinking on matters related to the environment. Moreover, the participants will get an insight into further new job possibilities in the field of environment which could spur economic growth in Europe. The students and the teachers met at school at 8:00. They had a tour round the school with the headmaster Marcel Kramer. The ice breaking games started at 10:00. At 13.00 an introductory workshop called What about circular economy? held by Mr. Jeannot Schroeder took place. The students worked in groups of 6 and were asked to do a circular economy jigsaw puzzle. The aim was to get familiar with the concept of circular economy. They also had to think about a specific product, such as a drilling machine, from the perspective of circular economy. Some of the questions they had to ponder were: Do you need to buy this product and have it at home? Would it be better to share one in the neighbourhood? One of the themes was recycling vs. upcycling. The students learned that the main problem is not a lack of energy but the waste and what we do with it. 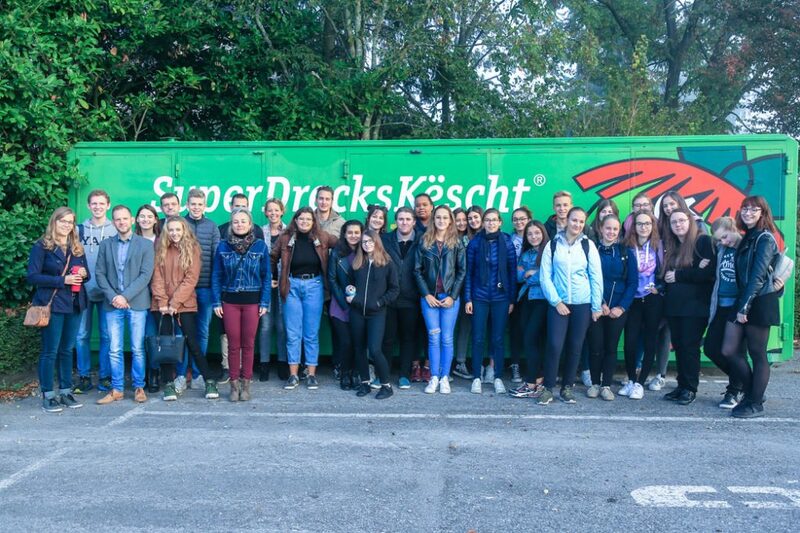 At 8:10 the teams travelled to the nearby village Colmar-Berg where they visited a recycling and disposal plant called SuperDrecksKëscht. The students split into two teams. One team had a tour round the factory where they could see how many different types of dangerous waste are produced and that it is sometimes very difficult to dispose of it. The other team worked in smaller groups. They took part in four workshops. The aim was to raise their awareness about the way certain types of products and waste, such as oil, paper, plastics, metal, are recycled. In the afternoon, the students visited Robin – a company producing paint. The students learned that paint is actually very difficult to recycle and that only a small fraction of the company’s products can be recycled. The other types must be burnt. Then they had a tour round the factory and saw how paint is produced and stored. 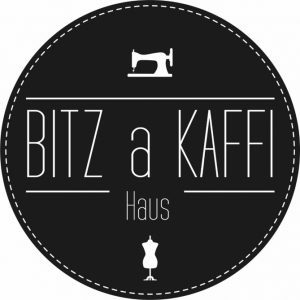 It was the day of practical workshops aimed at upcycling. The students worked in four mixed-nationality groups. Two groups made clothes from old clothing items, one worked on mosaic decorations from broken tiles and the third group created push films (animated moving pictures). Through the activities, they learned that used materials can be turned into something useful and/or valuable again (upcycling). The push movies were to summarize what the students had learned so far. In the afternoon, they went to the City of Luxembourg, where they had a guided tour round the capital. This was delivered in English by two professional tour guides. They learned some facts about the city’s history and the most popular places of interest. In the evening all the participants went out for bowling and dinner to reinforce the intercultural exchange. In the morning, the students prepared questions for the round table. First, they googled the names of the speakers and they learned about their professional and/or political backgrounds. They discovered, for example, that one of them was a former member of the European Parliament – Mr. Claude Turmes. During the discussion held in the school theatre later in the day, the students asked the prepared questions. Some of the subjects to discuss were sustainable buildings, mobility and transport (i.e. cars), plastic waste, and sharing economy. The headmaster of the school Marcel Kramer, also one of the speakers at the round table, had a few important points to add to the topic. For example, he expressed his wish for the school to recycle and upcycle more. Furthermore, he promised that in order to reduce the plastic waste, the school will buy water fountains. In the morning, the students worked on Ipads creating videos about the project, i.e what they learned and experienced throughout the whole week and what they aim to change in the future. At this point, they learned how to use different types of software, such as Spark Video. Later in the day, they presented the videos in the school cinema. The students, as well as the teachers, also took a Kahoot quiz, which summarized the knowledge attained during the whole activity. Finally, the activity was evaluated by the students and the teachers. Every student and teacher got a pencil case made of banners handmade by autistic people. In the morning, all students and teachers met at school, to get to know one another through ice breaking activities and games. Afterwards the theme of the week “Europe and sustainable development” was presented to the students. Students then gave short presentations and introduced their homework assignments: Present the share of the different energies (renewable or not) in your country (percentage, Diagram …) as well as projects for the next ten years. Present also what is already in place in your institution regarding renewable energies. In the afternoon, students watched videos about renewable and fossil energy and took notes about the classification of renewable and non-renewable energies. Afterwards there was a discussion about what should be done to improve the energy transition and what every student and the whole community could do in our schools to improve the situation. This activity was followed and concluded by a quiz on how to reduce our energy consumption. In the morning, all students and teachers met at school. Students were instructed to accomplish experiments about serial and bypass circuits. They experimented in groups on the working of a wind turbine and a hydraulic dam. Afterwards they studied an alternator. The objective was, to create a circuit to light a lamp without battery or generator by using supplied material. In the afternoon, students manufactured in small mixed groups models of wind turbines or hydraulic dams. To conclude the activities all students studied photovoltaic panels, schematized and made a circuit to light an LED and studied the influence of the inclination of the panel on the intensity of the LED. With the help of the teacher, they were able to draw the energy chains of a wind turbine, a hydraulic dam and a photovoltaic panel. In the morning, all students and teachers got together at school to take a bus to Lille. In the morning, there was a visit to the Xperium/Lilliad – City of science Villeneuve d´Ascq planned. 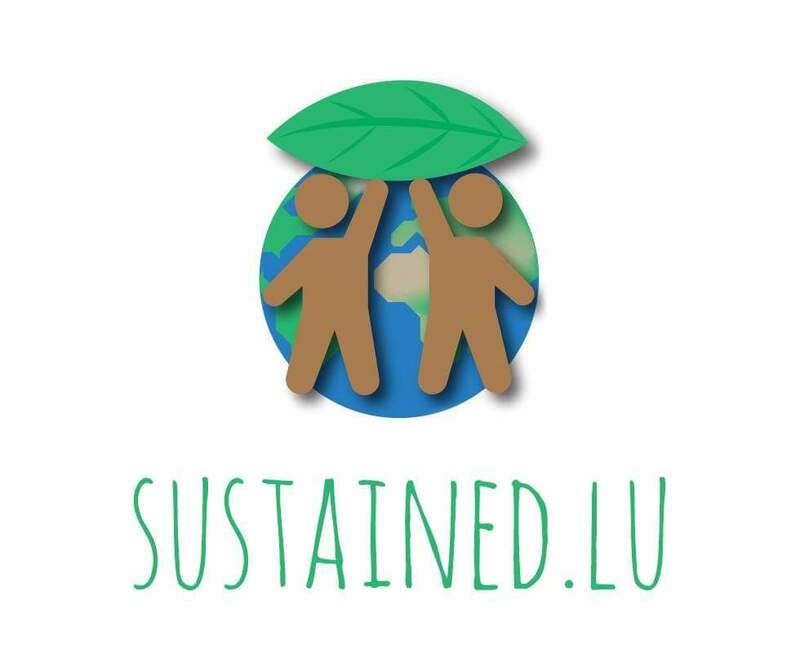 Students followed and discussed eight different workshops on sustainable development. 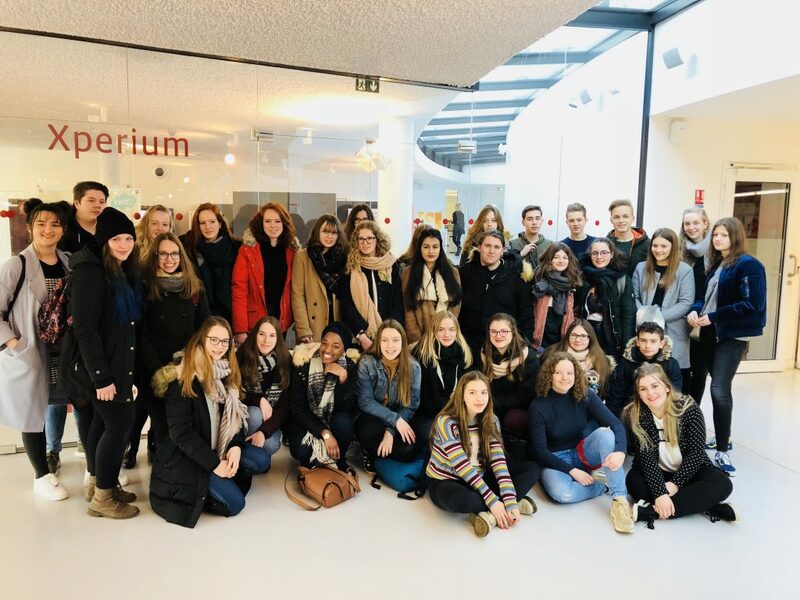 In the afternoon everybody participated at a guided cultural visit of Lille. In the morning, everyone got together at school to prepare a debate about powering a place not connected to the distribution network. One group prepared some arguments for equipping the roof with crystalline silicon photovoltaic panels and the other group for installing a power generator powered by diesel or petrol. The debate was organized by a group of 10 students presenting the project, 9 students as city council, 4 students as representors of a regional association for the protection of the environment and 1 student as moderator. In the afternoon students worked in groups to produce posters, PowerPoint presentations and videos about renewable energies, the everyday actions and on summarizing the week. In the morning, everyone came together at school, to continue working on the posters and presentations and put up an exhibition of the week activities, everything they learned and their personal experiences. Afterwards everything got presented to teachers and students of the school.  In the afternoon, teachers and students evaluated the project meeting in Saint-Amand-les-Eaux. Discover the lifestyle, the functioning and the cultural context of the school. Develop the scientific knowledge of each student. Share and benefit from the expertise of each student. Development of critical thinking and analysis through scientific experiments that will lead students to formulate and argue their point. Master a scientific vocabulary in relation to sustainable energy. Understand the issues and the need to wonder about sustainable development through visits (visit a wind farm site and meeting with a specialist in solar energy). Being able to work in mixed team (different languages) and to develop a project: construction of a wind turbine and a photo-voltaic Panel. Through excursions, the participants will explore ways local companies process waste. They will try several techniques of using various materials creatively, namely plastic, textile and paper (fashion show, products from paper and plastic, and photo-book). They will practice foreign languages through fieldwork and teamwork (polls, questionnaires, discussions etc.). Some of the results will be turned into visual data (graphs, charts, etc.). Through data processing, the participants will improve their ICT skills, communicative skills, as well as basic mathematic operations. They will learn how to work and cooperate in a team efficiently. The participants will be able to compare and contrast different approaches to garbage disposal locally and across the participating EU countries. The aim is to familiarize students with the concept of circular economy and to help to raise their awareness about the importance thereof. Students will use recyclable material (e.g. plastic bottles) as input for 3-D printing techniques which will allow them to create three-dimensional objects which are fit for use. Concrete ideas on how to implement the concept of circular economy in the individual schools will be developed. There will be a task-based knowledge exchange of the environmental situation in the other participating countries. In the course of the project, cross border analysis of the e-hive data will be carried out. Expected final products are a self-made beehive, a questionnaire to the biology and mortality of bees , a pasture of wild flowers, a video documentary and a flyer produced by the participating students which include a presentation of issues and possible measures against the mortality of the bees. Project-related media will be made available to the public: the video documentary will be published on the school homepage and the flyer will be distributed at school events. The students will work on the subject of green technology, durability and environmental gain in relation to economic aspects. They will be introduced to the innovative technology from one of the technical enterprises in the field of green technology based in the Hightechcenter Brainport Eindhoven. The participants will learn about innovation activities while visiting the company and work on assignments developed by the teachers, in cooperation with the company. They will carry out a technical investigation and an economic feasibility study. Expected results are: students will have learned about the choices the companies make in the field of green technology and sustainability. They will become familiar with financial considerations and risks. The expected final products are a report on the results of their investigation and possible solutions, a presentation at the school a video blog on the progress and the results.